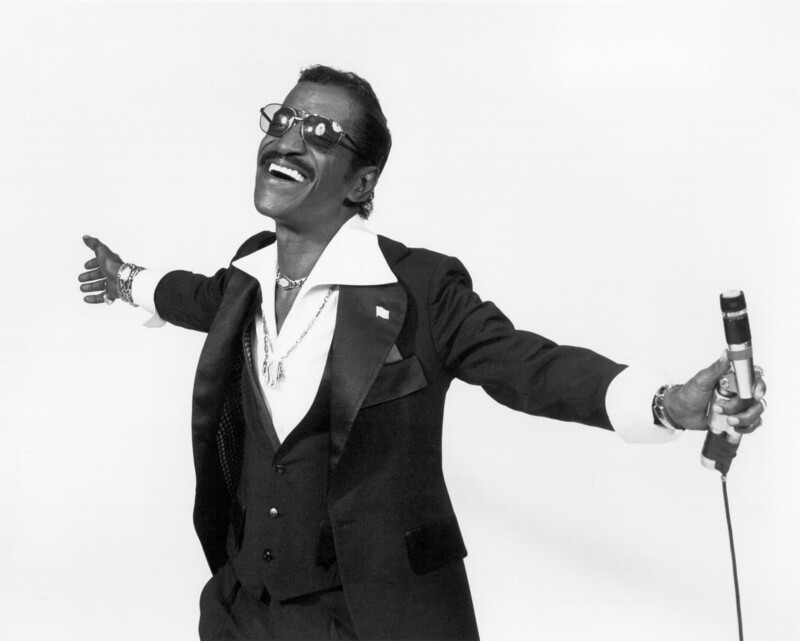 The Candy Man – Sammy Davis Jr.
A talented actor, comedian, singer, and dancer; Sammy Davis Jr. stands in history as an entertainment legend. Despite being a victim of prevailing racism throughout his life, Sammy overcame it all to establish a career that would lead him to unrivaled fame and admiration. Definitely has to be noted that Sammy used this fame to make a big difference in society. As his fame grew, clubs and venues were clambering to get him on their stage; but he refused to perform at any establishment that practiced racial segregation, which led to the creation and integration of several venues around Miami and Las Vegas. Davis continued to be a prominent social activist, becoming highly active in the Civil Right Movement, and even marrying a Swedish Actress, May Britt, in a time when interracial marriage was illegal in most states. Sammy had a long standing music career, including a No 1. hit in “The Candy Man”, and forming the Rat Pack along with fellow super stars Frank Sinatra and Dean Martin. We’re happy to say that some of his greatest hits are now available here at getconquer.com! Next PostNext New Music For The New Year!